The nutrition label is a fantastic source to truly understand what your food contains. While it is an amazing snapshot of knowledge, it can be quite daunting because it may take a while to understand what it is trying to say about your food. What I have found to be one of the most confusing aspects of the nutrition label is the Fats. This section contains the overall fat which is then broken down to the specific type of fat present in the food. But what do these fats mean? Seeing that there are grams of fat in your food should not be scary! Fat is one of the three macronutrients that help make you feel full after eating. Don’t believe me? Just look below to see all the wonderful things fat does for your body. And, supports proper immune function! 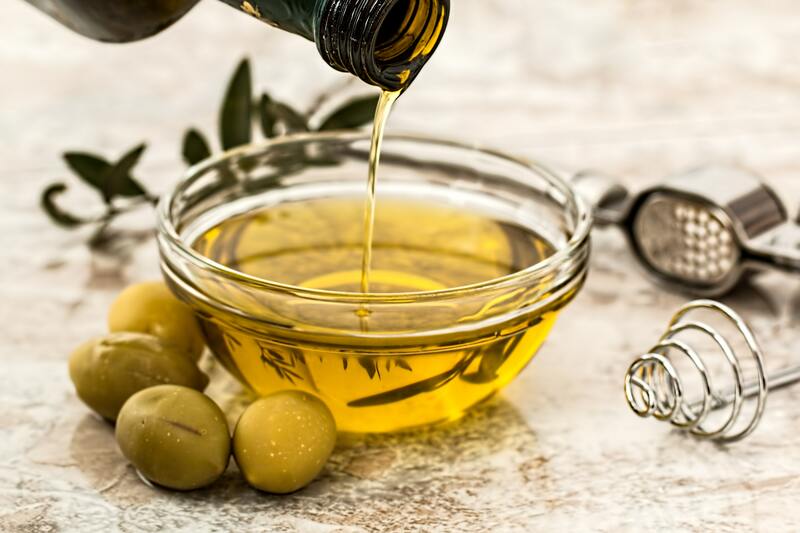 Fat can be found in both plant and animal products as either saturated fat or unsaturated fat, but only saturated fat and trans fat, a form of unsaturated fat, may be found on the food label. Confused? Let’s break it down. Largely found in animal products. Typically, solid when at room temperature. Less than 10% of your calories should come from saturated fat since the body already provides more saturated fat than is needed. Consuming high amounts of saturated fat can increase the “bad” cholesterol in the blood, also known as low-density lipoprotein (LDL), and increase the possibility of developing cardiovascular disease. Can be found in: animal fat, meat, poultry, coffee creamer, dairy products, nuts, frozen pizza, snack chips, and baked goods*. *Saturated fats and trans fats are typically found in the same foods. Largely found in plant products. Typically, liquid when at room temperature. May help reduce the risk of developing cardiovascular disease when it is used in moderation and replaces saturated fats while cooking. Can be found in: avocados, fish, vegetable oils, olives, and nuts. Structurally different from other fats since it has been processed. Used by manufacturers to improve the flavor of the food and allow the food to have a longer shelf life. Can sometimes be found in animal products but is mainly seen in foods that contains partially hydrogenated oils (ex. margarine, liquid vegetable oil and fried foods). Answer: by paying attention to the nutrition label to understand what you are consuming! The daily value of total fat you should be consuming in a day is 65g (for a 2,000 calories diet). “Calories from Fat” shows how much the fat contributes to one serving of the food. As seen below, if there are 45 calories from fat but there 300 calories in total, 255 of the calories come from carbohydrates or protein (300 – 45 = 255). The “% Daily Value” shows how much of the nutrient, such as fat, is in one serving of the food. In general, if a nutrients % daily value is below 5% per serving it would be considered low. If a nutrients % daily value is above 20% per serving it would be considered high. For example, if the % daily value of saturated fat is 8%, that means that one serving of that food contains 8% of the maximum amount of saturated fat one person should consume in a day. Just remember…you DON’T need to be scared of fat, just be AWARE of fat! For more information and tips on how to read nutrition labels, check out this helpful infographic from the FDA! This blog has been written by Krysta Villarosa, a Spring ’19 SNAP-Ed Student Lab Assistant.